We don’t just offer the only P&C Insurance Distribution Platform for personal and commercial lines, we also offer industry expertise and support. Traditions are important in all walks of life, and even in business. The insurance industry is a centuries-old institution dedicated to protecting the assets of its customers and mitigating risk in an increasing world of hazard. Despite massive changes over the years in processes and distribution, insurers have shown tremendous tenacity in the face of change, always dedicated to protecting the customers they serve. satisfaction by providing more of the products they need through the channels they prefer. In other words, they’re establishing a history of traditions that will ensure a successful industry for future generations. 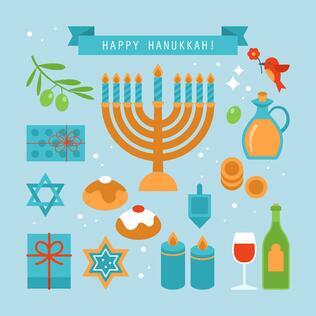 BOLT wishes everyone the best of the Hanukkah season and in finding faith in traditions. To learn how leading carriers are jump-starting their digital capabilities to meet more of their customer needs, take a look at our infographic, . i History.com Staff. "Hanukkah World Records." History.com. A&E Television Networks, 2010. Web. <http://www.history.com/topics/holidays/hanukkah-world-records>. iii "Hanukkah: History." ReformJudaism.org. Reform Judaism, 2016. Web. <http://www.reformjudaism.org/hanukkah-history>.